Selling Your West Michigan Home? There are no upfront fees or hidden costs! 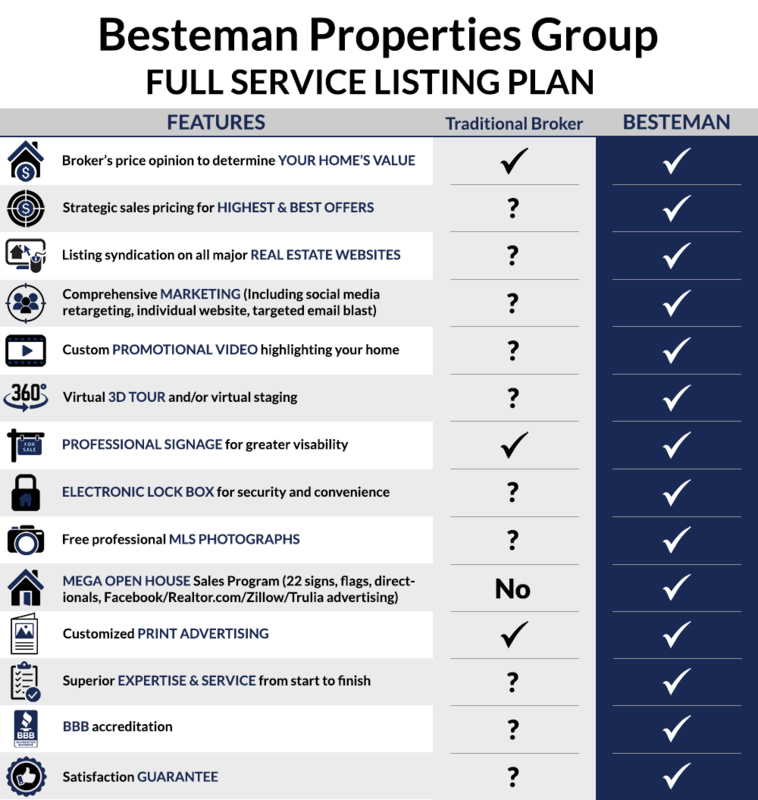 Besteman Properties Group’s Full Service Listing Program gives you the most competitive advantage to selling your home fast and efficient. One of our professional Realtors will personally come to you and start the process of selling your home and continue by your side until your home is sold. There are no upfront fees or hidden costs! How Much More Do We Sell For?